How could this be happening? Medication that is supposed to help and make a patient feeling better produces a deadly reaction? Simple outpatient surgical procedures - which are performed in clinics, doctor offices and dental practices on a daily basis - which require mild to moderate painkillers is customary and routine may turn out to be fatal. The case in question occurred last weekend when an otherwise healthy 2-year-old boy died after being prescribed codeine to relieve pain from having his tonsils removed. The sad fact is that cases like this even the protocol of post operative was followed, and very little could have been done to avoid such a tragedy. The child mentioned above had a history of snoring and sleep apnea (when a person momentarily stops breathing during sleep throughout the night). In an effort to clear the boy's airway, he had a routine tonsillectomy outpatient surgery and was sent home. 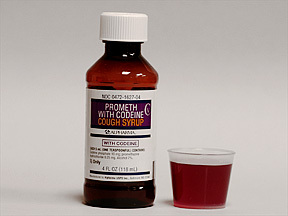 Doctors prescribed codeine syrup and told the boy's mother to give it to him for pain, but two nights later, the child developed a fever and wheezing. He was found dead the next morning, according to the report. than the norm. The only true way to have avoided this tragedy would have been to keep the child in the hospital overnight, for 24 hours, for observation to see whether his breathing had improved, and whether pain medications (such as codeine, which suppresses the respiratory system) could have put him at risk. procedure. Are there any potential risks associated with the procedure, or with the post -operative medications? Know your child and know their body - proper supervision is essential, especially with children.